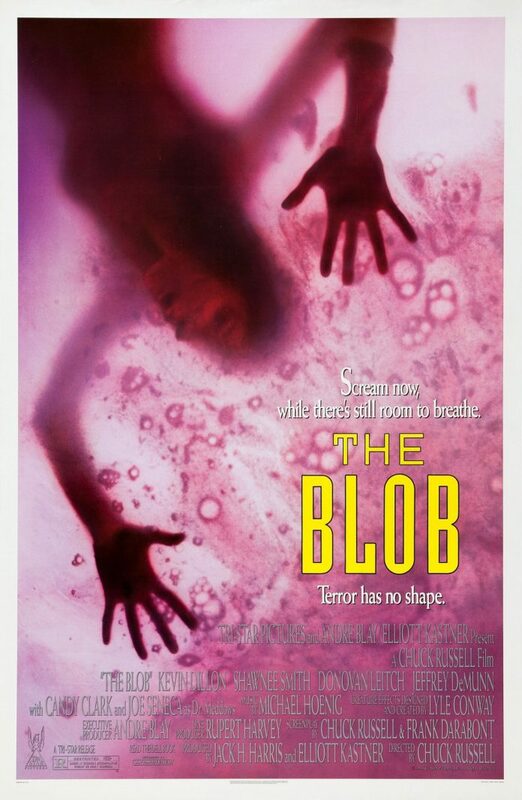 I will go to my grave saying that The Blob is one of the best horror movies of the 1980s. It combines the throwback alien invasion mayhem of the 1950s with the grisly creature feature effects of the ’80s and tosses in some fun, Spielbergian adventure overtones to boot. But one thing it might not get enough credit for is how it bucks genre conventions. 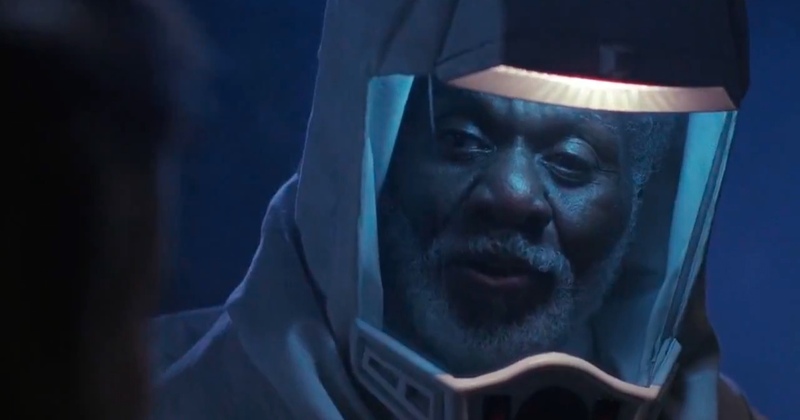 In particular, it features a black guy, the great veteran actor Joe Seneca (The House of Dies Drear) as the main antagonist — well, the main human antagonist. It’s rare to see a black person as the primary bad guy, but even more rare is the fact that Seneca’s character isn’t a gangsta, drug lord or “urban” criminal type. He’s an educated, gray-haired scientist named Dr. Christopher Meddows who heads a government effort to control the Blob — which, as is standard in these types of films, turns out to be a military weapon gone awry. Because he works for “The Man,” he’s a cold, calculating villain who’s willing to sacrifice innocent citizens for the success of his mission — you know, a typical government worker. The other black character of substance, Moss Woodley (Beau Billingslea), also flouts convention in that he’s the hero’s buddy — usually the kiss of death for a black character in horror movies — but he doesn’t die! 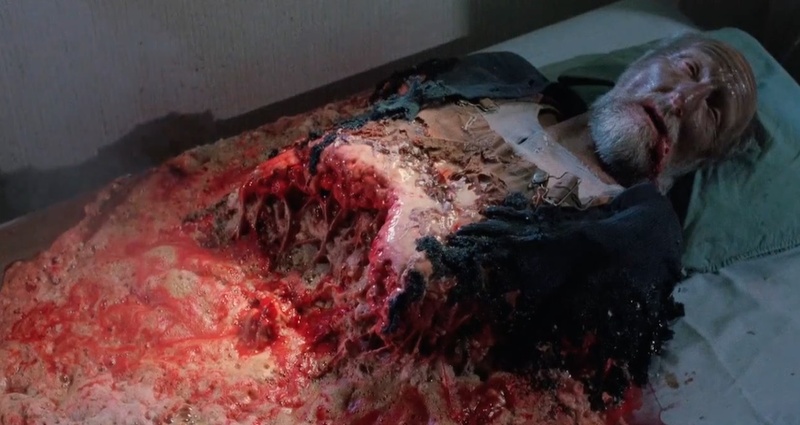 Granted, he’s only in the film for about five minutes, but he manages to survive the climactic battle with the Blob while others meet their maker. 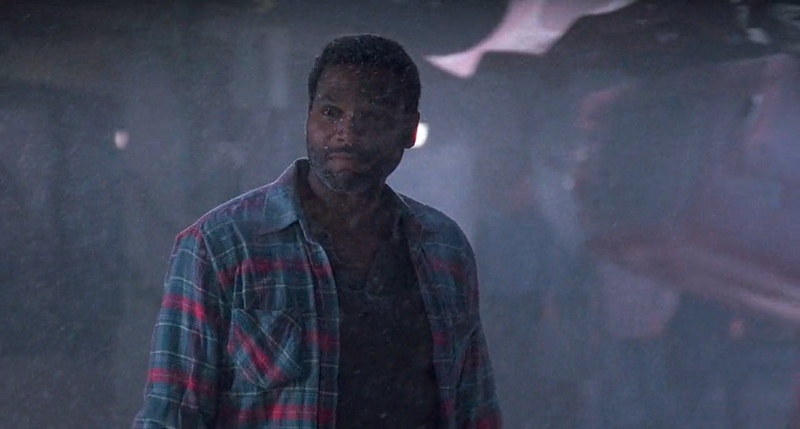 Furthermore, a lesser movie of this era might have placed a black actor in the role of the homeless man who’s the first Blob victim, but The Blob manages to break the mold not only in who it casts but also in who it doesn’t cast. 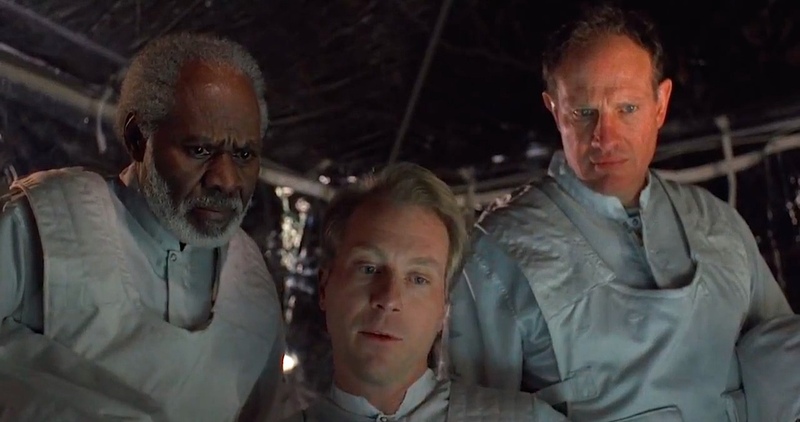 Even beyond a racial standpoint, the script, co-written by Frank Darabont, goes against the grain, pulling an okey-doke when it comes to the identity of the hero. It initially portrays the “all-American” (read: clean cut, middle class, WASP) Paul (Donovan Leitch Jr.) as the main male protagonist, but about 30 minutes in, when he gets gruesomely devoured, it becomes clear that bad boy rebel Brian Flagg (Kevin Dillon) will be teaming up with leading lady Meg (Shawnee Smith) to take down the creature — and the evil government workers. Hubba Bubba: beware the blowback. In the ’80s, cocaine rained from the sky.